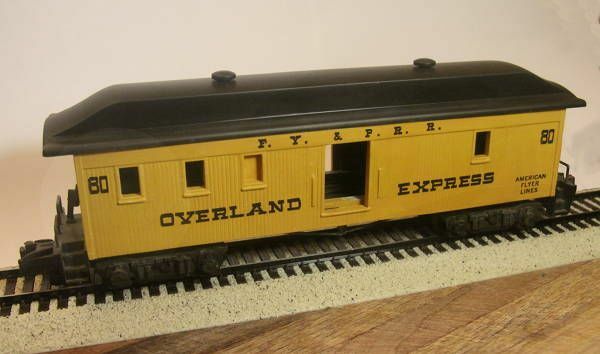 Cannot say exactly where the idea came from for wanting a shorty, single door baggage car to go with my Franklin/Overland Express American Flyer passenger set. Perhaps it was from the movie "Butch and Sundance" where Robert Redford uses just a little too much dynamite in their train robbery and absolutely blows the heck out of one of these cars. Or maybe it is from seeing photos of the real thing in several of the Colorado based narrow gauge tourist railroad lines. 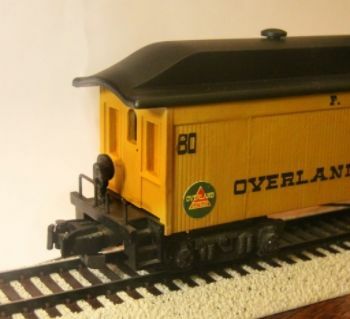 Since my recent return to S gauge modeling after a 40+ year hiatus, whatever the inspiration or reason, I decided I just had to have one. And with a bit of careful cutting and sanding it felt I could make that wish come true! To not put too fine a point on it: "Some cutting required." "Not to mention filling, filing and sanding as well." 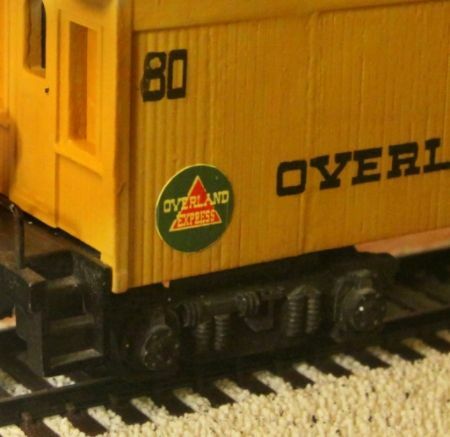 Starting with the standard Flyer double door baggage car I foolishly thought I could carefully cut up the existing car and salvage all the original lettering but I soon realized that would not be possible. 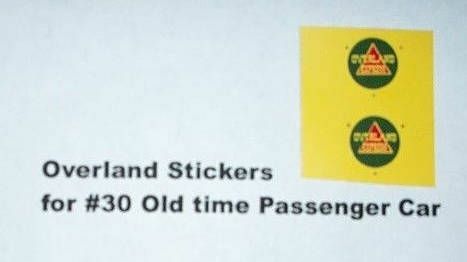 Thankfully I found that full replacement decals and replacements for the green adhesive "Overland Express" stickers were all readily available on eBay. 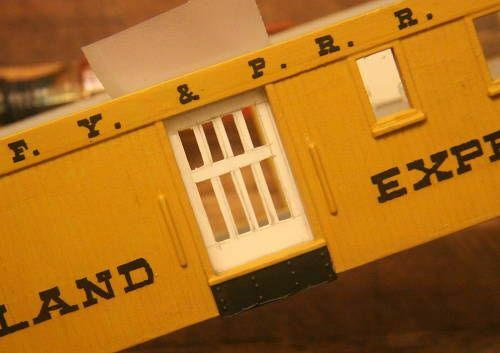 The final finished length of my new shorter baggage car was governed by one factor and one factor only. The distance between the two sets of Queenposts on the underside of the car. By cutting just to the right of BOTH Queenposts you remove a section of the undercarriage while leaving a single Queenpost to support the truss rods on your new, shorter car. And yes, shorter truss rod rail cars can be found that utilize only a single Queenpost. I removed the existing truss rod wires, straightened and then re-bent them to fit the shorter car. I cut off a length of wire at one end and voila, I had my revised truss rods without too much fuss. Once this new length for the undercarriage has been determined (white arrow in photo below) this measurement will govern your cutting of the car body and the roof throughout the remainder of the project. I suggest that in all cases you make your cuts overly long and then use sanding and filing to carefully and slowly shorten the pieces to their finished proper length. Sorry but I did not take many photos of the car roof during the cutting and finishing process. (My bad) The one below is the only additional image that I have. When the two parts are to become one! - Then I hold the two parts together dry and bring them up to the light to check that the two pieces mate uniformly. You should see a line of light of uniform thickness across the entire length of the parts to be joined. - When joining the two pieces I coat BOTH mating edges of the plastic with a somewhat liberal coating of the solvent I am using at the time. Then I let those sit for a minute or so to soften the plastic on both sides of the union before doing anything else. - Finally I push and hold the two pieces together forcefully, supported on a perfectly flat surface (a sheet of glass, or mirror or, in my case a piece of marble counter top.) I also, at the same time am holding one side of the piece against a fairly heavy metal straight edge. This usually guarantees a near perfect alignment, both vertically and horizontally, for this new union. *** Don't waste money on an expensive sanding block. Any small solid, square, flat block will do. Wood, metal or plastic - it doesn't mater as long as it is flat and not flexible. The sanding blocks they sell in the stores will be too large for you model project anyway. *** Primer - you will need a good grade of spray primer. I recommend one of the Tamiya gray primers. (NOT the Tamiya white primer with which I have had much difficulty.) You will need to prime, let dry, sand and then repeat the process two to three times to finally create a union that won't be seen once painted. I dare ya - find the seam in that repainted roof. Ya can't, cause I can't either when looking at the actual model - unless I turn it over and look at the unfinished bottom side! - Next up: building the baggage doors and the final painting. 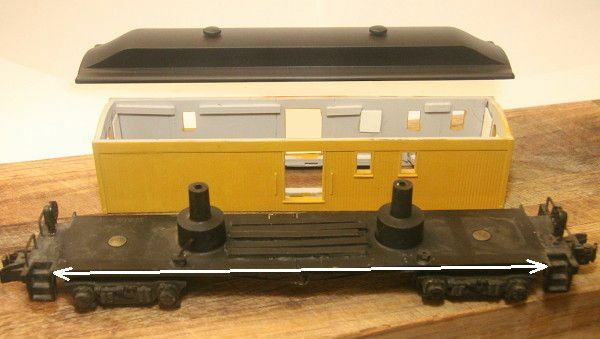 Similarly I have two duplicate coaches in my consist so I again used the flat black paint and changed one of the coaches from a "20" to a "28". After realizing I could not salvage the lettering on the existing car I considered doing the entire car in scribed Evergreen siding. Using the scribed siding the car would therefore have no windows at all. It occurred to me it might be more interesting to have an asymmetrical arrangement of windows just to give the car an increased level of visual appeal. I even added, and then blanked out some of the windows to appear as modifications made down though the years. 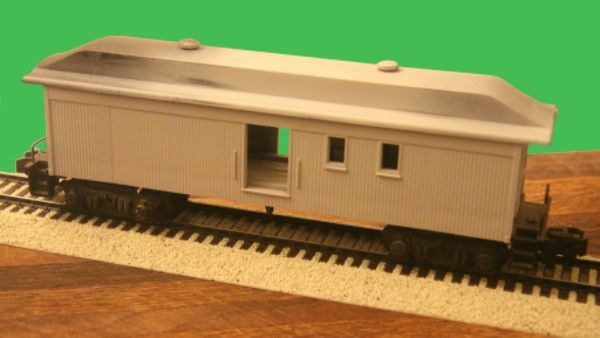 Similarly I have two duplicate coaches in my consist so again I used the flat black paint and changed one of the coaches from a "20" to a "28". p.s. 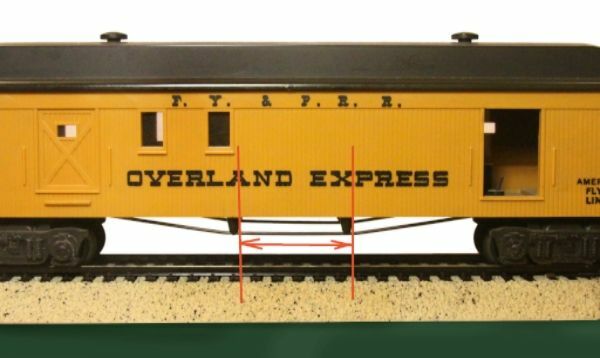 You have probably noticed the flaw in the siding at one end of the car on Side B. Be forewarned; the AF side wall castings for the double door baggage car ARE NOT of uniform thickness. When gluing the many wall sections together to form this shorty baggage I used scrap evergreen pieces on the inside surface to reinforce each joint. It was only after this one splice had set up and dried that I noticed on the outside that one wood surface stood higher than the other. To solve this problem I sanded down the scribed siding and then attempted to re-scribe the wood divisions. I admit I am not not totally satisfied with this solution. 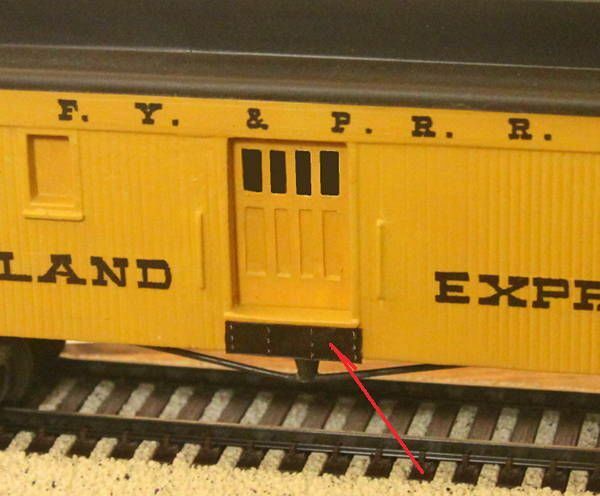 All I can offer is to point out that if you observe similar older real railroad cars and cabease that use tongue and groove siding you will find similar irregularities. This is caused by moisture and humidity affecting the different pieces of wood differently. Though the wood siding is all of the same variety, each individual board is not exactly the same density/hardness so they absorb moisture to varying degrees as they age. Therefore the boards expand and contract to slightly different amounts. 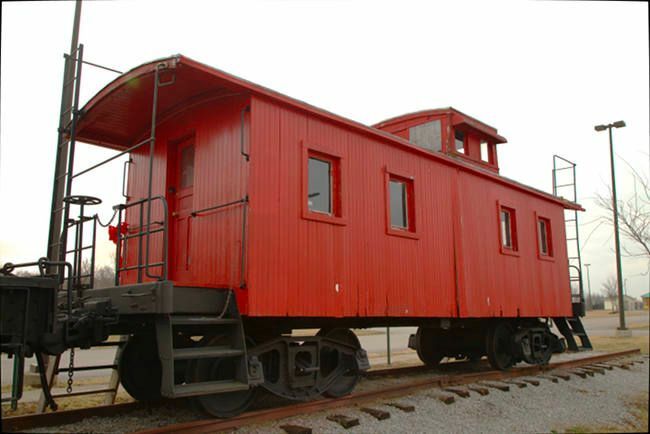 A local rail museum chose some years ago to recover their old wooden caboose. However the volunteers failed to paint and seal the fresh wood. They left it totally bare throughout the following winter. By summer the wood had absorbed so much moisture that the various parts of the new siding were standing off the car in "V's" because the wood siding had absorbed so much moisture and had expanded. At the time I chose NOT to take a photo of the result, though now I wish I had. This is my favorite image from that little Central Kentucky museum park. 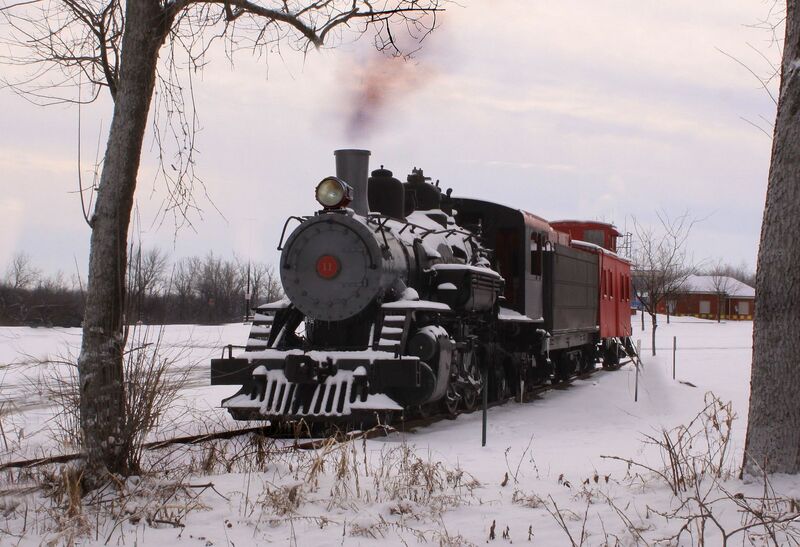 A beautifully proportioned light 2-6-2 Prairie locomotive. Sadly this is a static display as I am afraid the smoke is photoshop and not real. 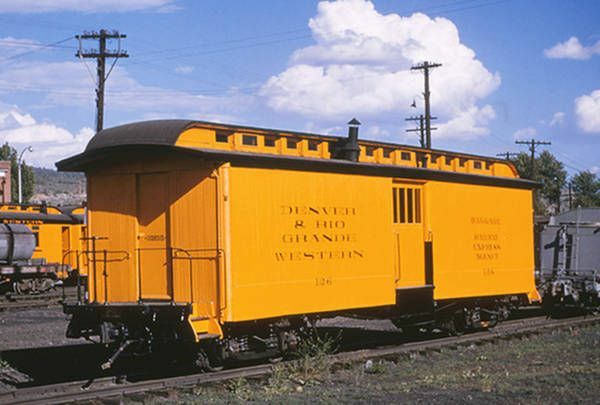 Here is another photo of a real caboose with tongue and groove siding that has seen too much moisture and too little maintenance. Gotta build those doors - sooner or later! 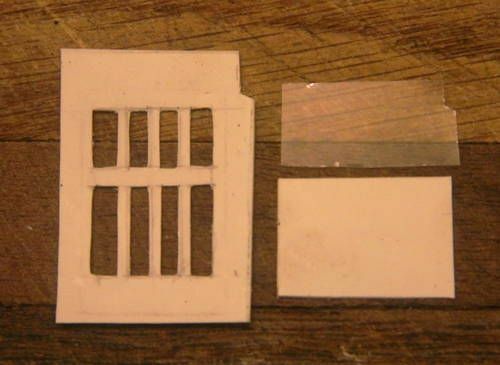 I created a sandwich of multiple layers of thin sheet plastic to form what are known as panel doors. 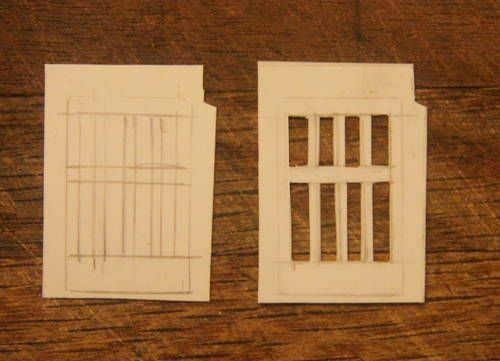 First I sketched out what the doors should look like and then cut out the various panel insets and windows to form the main part of the door. 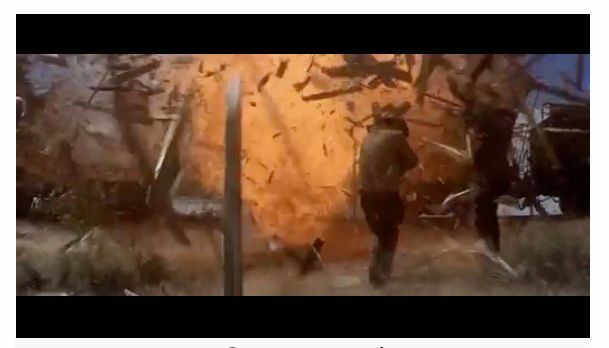 Historically almost all panel doors will have a taller bottom "kick board". The left and right "edge boards" will usually be the same width and the top or "header board" may or may not be wider that the edge boards. The top board or header board is almost always narrower then the kick board. As to the inset panels, there may be any number of inset panels in the door depending entirely on the whim of the customer or of the carpenter. Here I am dry fitting the door to the car opening. Note: Often on baggage cars there is a formed steel plate bolted below the baggage door. This plate serves as a sort of a "kick plate" to reduce the chances of damage to the car when loading or unloading heavy items from ground level. I simulated this kick plate with another piece of cut-to-fit plastic sheet. I then used a dull compass point to simulate the rivet detail, pushing the point in from what would become the back side of the kick plate to form at the raised rivets. 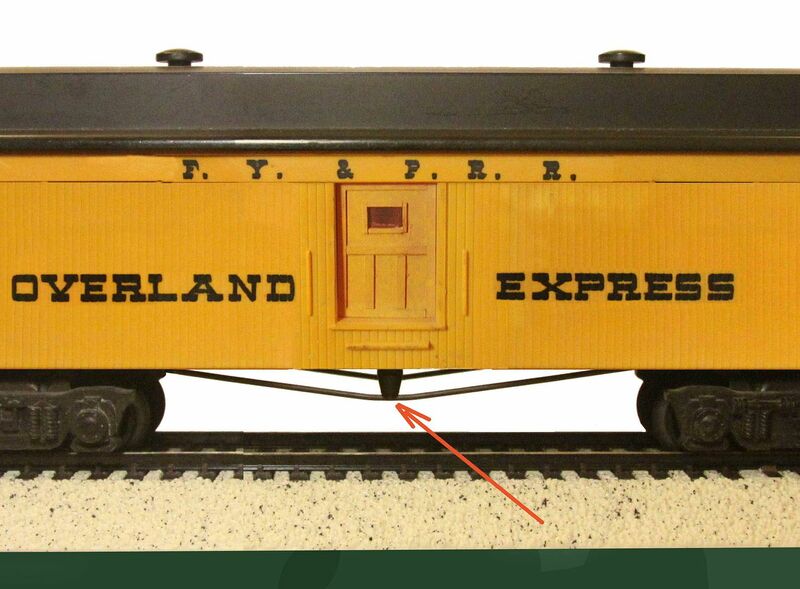 We have talked about decal lettering but have yet to talk about the need to color match this orange/yellow paint to the rest of the Franklin series of cars. In this I quickly gave up trying to color mix my own paint and instead took my train repairman's advice from the local RR hobby shop. Based on his recommendation I took one of the other baggage cars from the Franklin set to the local Home Depot paint department. As with many large home repair retailers they have a computer scanner that will color match in water based acrylic just about any color you might bring them. I took the baggage car because the baggage DOOR would give me a fairly large (postage stamp sized) area of smooth, untextured surface color to scan from. 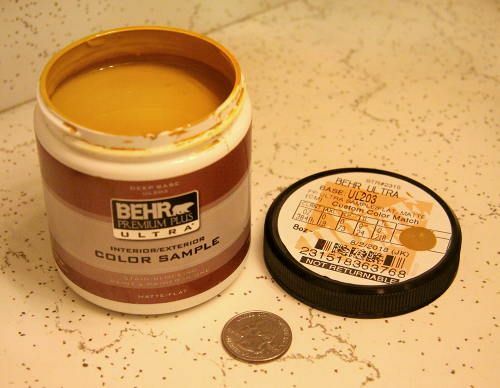 Usually the smallest size paint the store with mix will cost you under $5.00 and yield enough paint to do about 50+ cars! What a deal! I chose the matte surface paint because I figured it would dry the smoothest. I was planning on clear coating the car afterwards anyway. I could have sprayed the car but since almost everything to be painted would on the textured scribed siding anyway I just carefully brushed it on with a medium large square tipped brush using smooth up and down strokes. I am very happy with the results and I have since used the same paint to touch up some of the original cars so I am now positive the color was a good match. I am probably the last guy in the world to learn of this little trick and everyone else already knows all about it. However perhaps it will help someone else out there trying to do some custom hobby work. I certainly hope so! Speaking of matching paint AND of building doors . . . .
Something that has always blocked me from warming up to the Franklin passenger cars in general was the very open see-through quality of the empty cars having no interiors AND the fact that 50% of the doors on the Franklin baggage cars seem to be missing??? 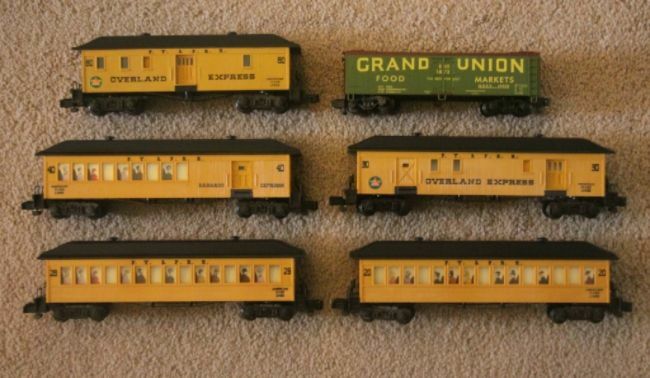 What seriously renewed my interest in the Franklin sets I had been avoiding was the "light bulb" idea of scratch building baggage doors for the other wise blank openings and also having found passenger silhouettes being sold on eBay to fit the Franklins and really fill out the cars! 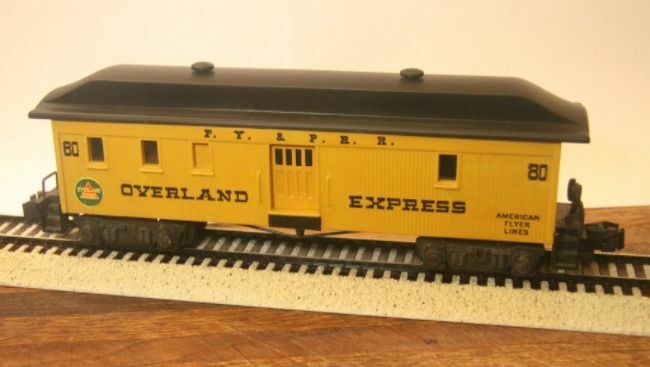 Add in a "Billboard" express reefer and you have the full consist. I talked of how well the computer matched paint worked. However the above photos do not illustrate this very well. In reality what you are seeing there is the earlier paint I mixed MYSELF. Sorry. After doing the shorty baggage and using the computer mixed paint I went back and repainted the doors on these other cars as seen in the final group photo. 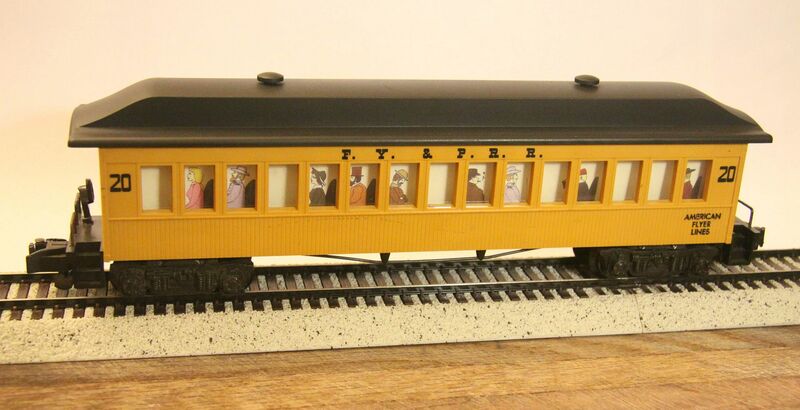 If you are modeling an earlier time period there are also inserts that depict cars full of either Union or Confederate soldiers. It seems odd but all figures on the inserts face the same way??? I feel these cars are of an age where they would have had what are called "walk over seats". 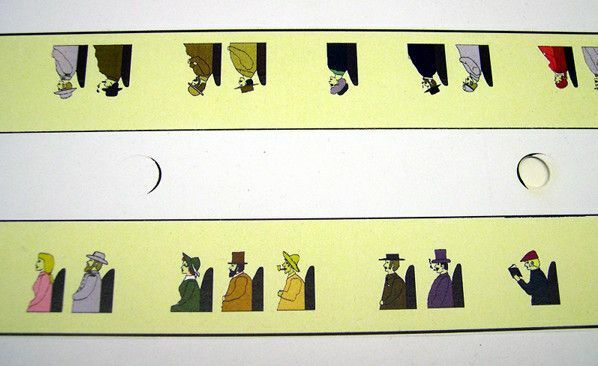 Seats that either turn to face either way of seat backs that can swing to the opposite side so groups of passengers can face either way. What I did here was to cut parts of the paper inserts and reverse them and tape them back together to recreate this affect. A simple alteration that adds more variety. p.s. 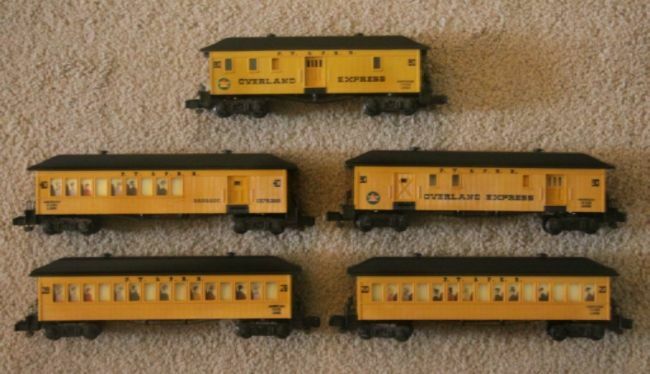 I bought all these cars fairly recently as used off of eBay. All were in fair to good condition to start with. On these cars it seems the roofs suffer the greatest play wear abuse. Therefore, the one thing that I think really improved the cars the most: I dissembled them and first repaired any flaws, scratches, gouges and in one case, cigarette burns to them and then repainted just the black roofs! I repainted them using a good grade of flat black paint from your basic rattle can. I finished up with a layer of Tamiya Matte Clear. (TS-80 rattle can - its the best in the hobby business) This final coat I sprayed holding the can at a distance so the clear coat was almost dry when it hit the roof piece. 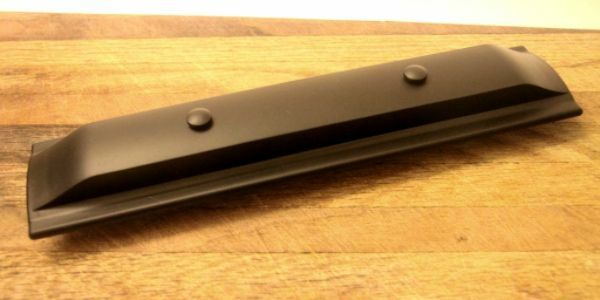 This left a very nice flat, lightly pebbled texture that (IMHO) looks much better than the original smooth molded black plastic factory finish.